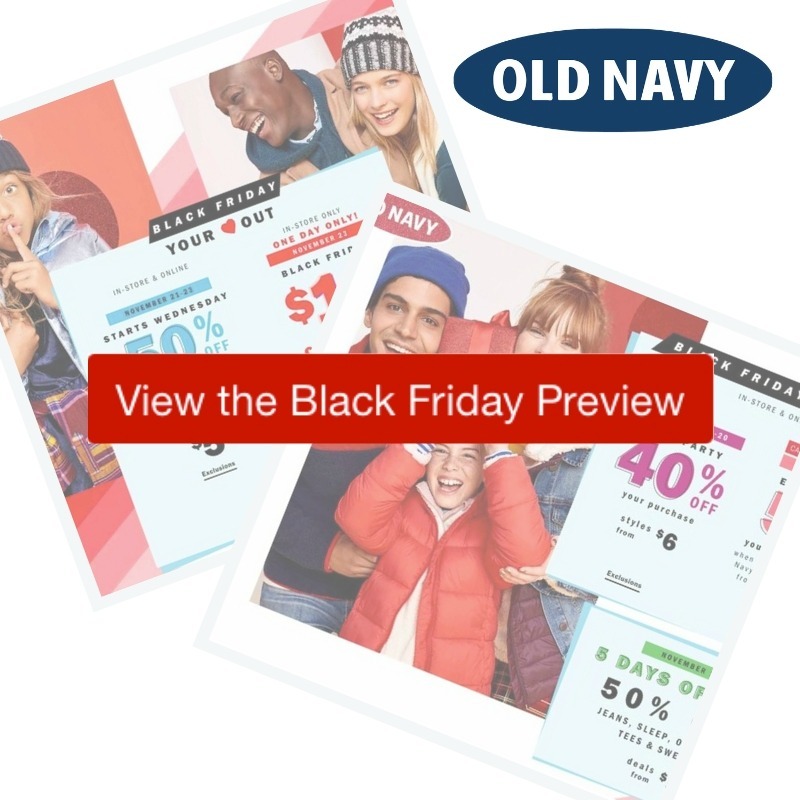 Check out the deals running in the Old Navy Black Friday Ad! It’s always a small flyer, but there are some fun savings! Deals start early online and in-store with 50% off and 40% off entire purchase offers.